I have been wanting to get myself a personalized name necklace for myself, especially after I actually ordered one for my bestie as her birthday gift. 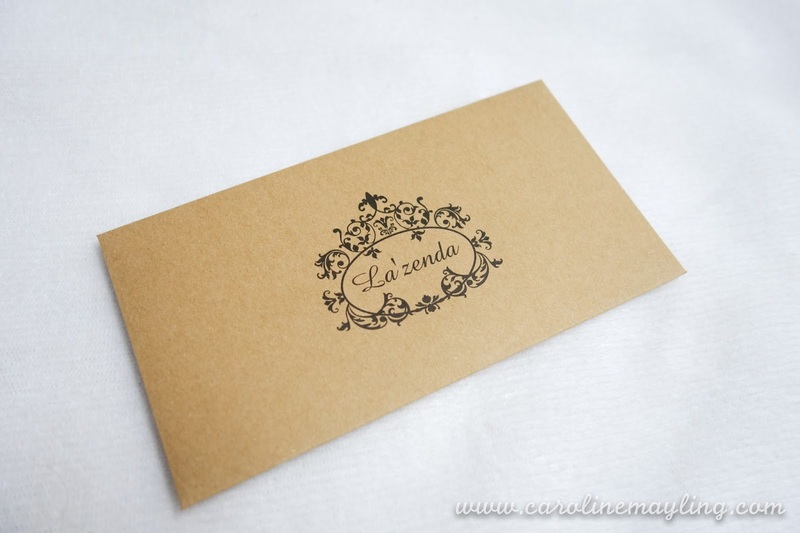 I stumbled upon this site - La'zenda - and found out how easy one can design, order and receive it in two weeks time. The design process was pretty easy as you can design it through the website and there's plenty of designs, icons and frames available for you to choose. 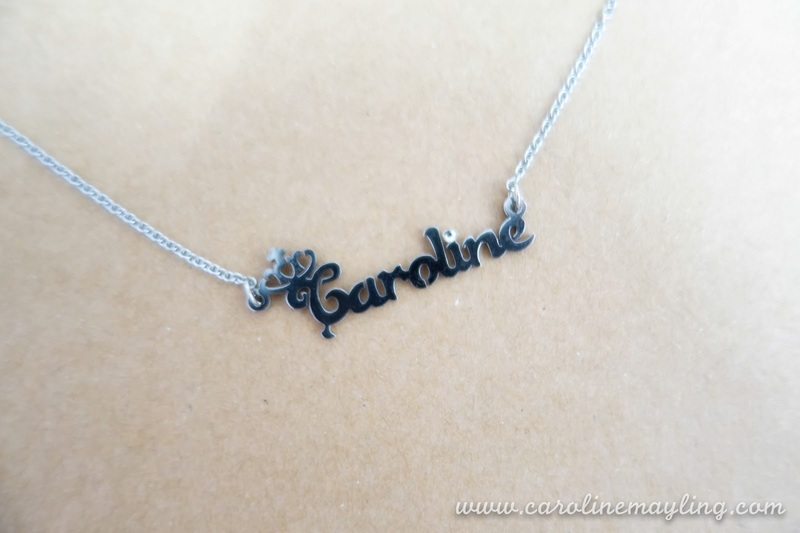 Not only that, you can also opt to add Swarovski elements and what type of materials you would like to choose for your personalized name necklace, bracelet or ring. Of course, there's an additional top up required for certain options. You can also choose to add to the gift box or without it, just like mine. 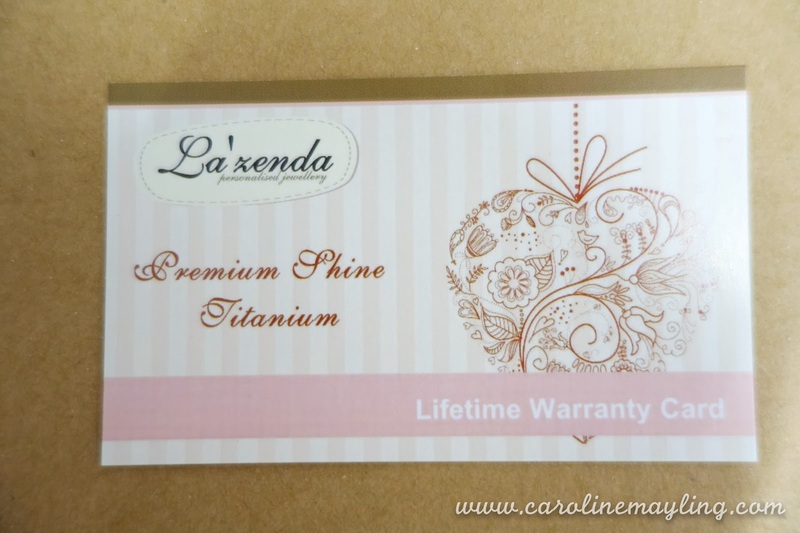 Without gift box, you would received it in this envelope type of packaging that contains of cleaning cloth for your necklace and lifetime warranty card (only for premium titanium shine material). If you are looking for long lasting shine on your personalized name necklace like me, you can opt for the "Premium Shine Titanium" material. It is a titanium but with the shine like white gold on it. 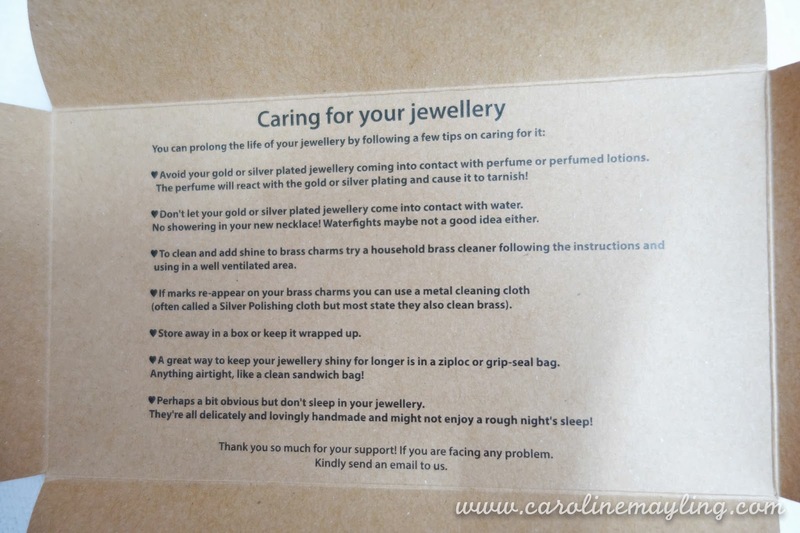 Last but not least, La'zenda also included the "caring for your jewelry" instruction on the envelope too. With this, you can extend the life of your jewelry longer.